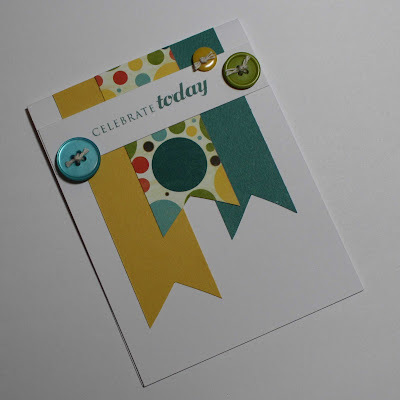 Tonight I was working on the Make it Monday Challenge over at the Papertrey Ink blog. They presented a variety of sketches they created from advertisements, photographs, scrapbook pages, etc.. Basically to show you that you can find card inspiration anywhere. The challenge was to create a card based on one of the sketches. The sketch I chose was taken from a section of a scrapbook page. I had just purchased some new BoBuny paper today at my favorite local scrapbook store. So using that paper paired with some scrap and some items from my new Papertrey Ink stash. I put together this take on the sketch. I really wanted to keep this one simple and quick and I thought the banners would make for a perfect celebration﻿ card. It just so happened the Papertrey Ink Cupcake Collection stamp set arrived in the mail today. That gave me the perfect sentiment. I couldn't resist adding buttons instead of flowers.. This will keep this a more gender neutral card for later use. 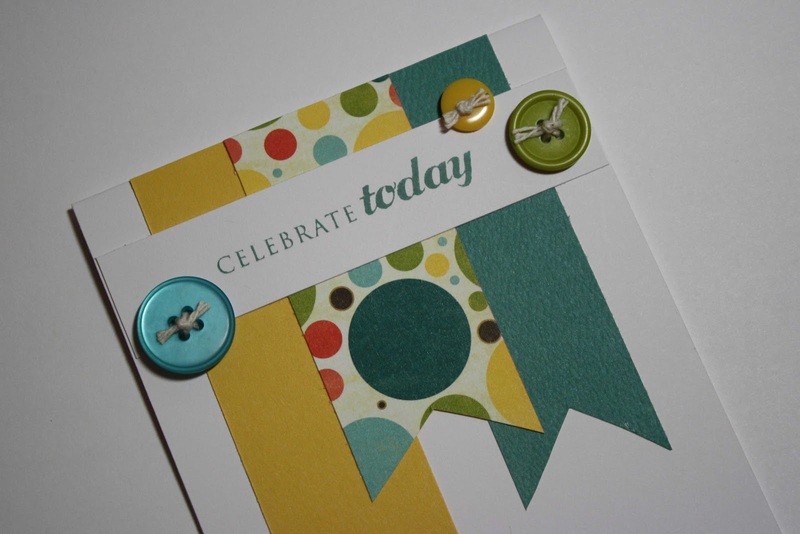 Great colours on your CAS card. I think that's a great take on the sketch! Love the colors.